Are You Having An Event? 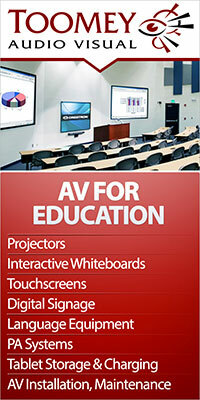 When we started we were hiring out overhead projectors, acetate rolls and flip charts. Things have moved on a lot! Over the years we have continually invested in the latest AV technologies and the best technicians which ensure you have access to great technology and expertise when you need it. 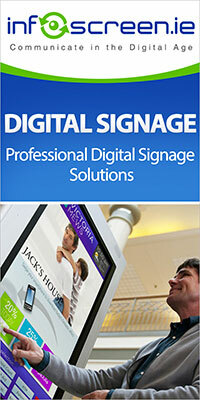 In 1999 we established Digisound Audio Visual due to growing commercial installation demands. Over the past 45 years we have continued to grow and develop in line with our customers’ requirements. We continue to develop and invest in emerging AV technologies. Our equipment is always serviced and pre checked prior to every rental. 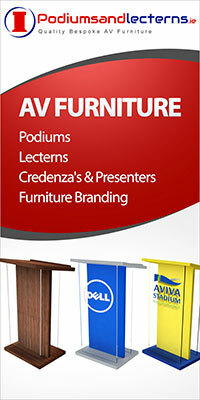 We provide industry leading Pro-AV Brands across the board. 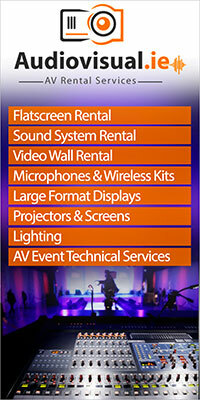 We understand the importance of quality, reliability and experience when renting AV equipment. Whether you need a flat-screen display, projector, sound system, some wireless mics, a stage, lighting or a combination of all of these, we can help. Tell us what you would like to do and we can provide design & costs options. If you are hiring equipment at an exhibition or trade show we always provide phone support and an emergency technician on call service. You can collect equipment from our office or have it delivered, set-up & collected at a location of your choice. We are now providing cost effective half day rentals on some equipment. You can rent for any duration – we offer complete flexibility to suit your requirements. 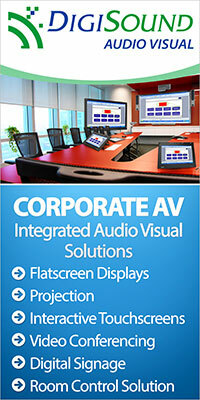 We look forward to working closely with you to ensure a professional audio visual solution. Call Us on 01 4133 892 or Submit an Inquiry to discuss your next Conference, Exhibition, Meeting or Event.